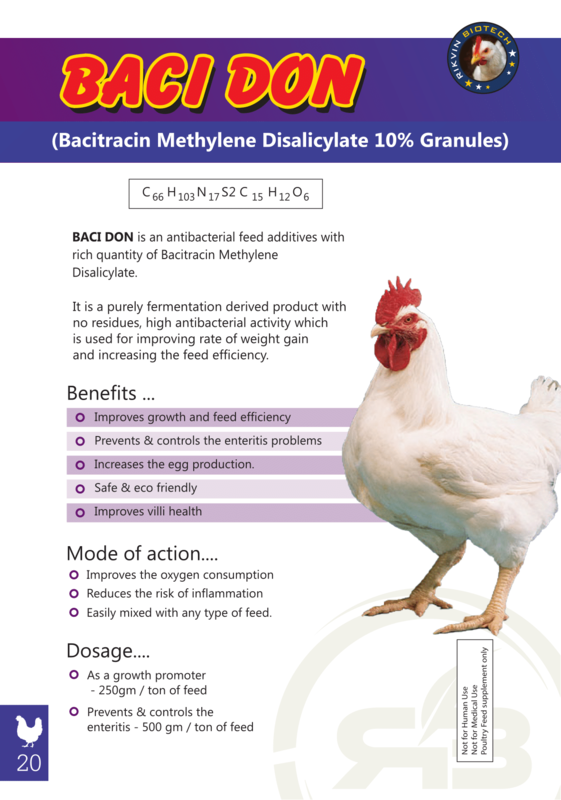 BACIPRO is an antibacterial feed additives with rich quantity of Bacitracin Methylene Disalicylate. It is a purely fermentation derived product with no residues, high antibacterial activity which is used for improving rate of weight gain and increasing the feed efficiency. Easily mixed with any type of feed.